The Cy-Hope Disaster Recovery Network in Houston has been established to provide long-term recovery assistance for those impacted by Hurricane Harvey, as well as lay the groundwork for an organized and rapid response to future disasters. When the Reverend Doctor Godfrey Hubert was on sabbatical in 2010, he answered a question that changed the course of his ministry at The Foundry UMC. “If your church ceased to exist tomorrow, would your community miss you?” Hubert returned home from sabbatical determined to lead his congregation in a new direction of ministry. 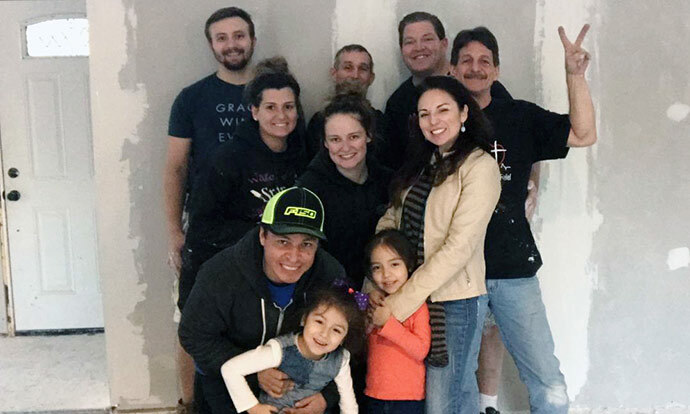 The Foundry embraced their pastor’s vision and established CyHope, a non-profit organization dedicated to improving the lives of children in the Cy-Fair area. In part two of our interview with Hubert, he introduces us to CyHope’s new sister ministry, The Hope Disaster Recovery Network. Q: There was a monumental faith-based volunteer recovery effort after Hurricane Harvey. Why did you feel the need to form the Hope Disaster Recovery Network? A: Harvey was the fifth 500-hundred-year flood during the 34 years I have been pastor of The Foundry. Parts of Houston received 60 inches of rain. Our immediate area received 40 inches of rain in three days. Every time there has been a flood, we have scrambled to help people. I realized that we just can’t keep doing that. We are setting up a long-term disaster recovery network so that the next time it floods, we will be ready. Q: Tell me about the process of establishing the Hope Disaster Recovery Network. A: We began by reaching out the Austin Disaster Relief Network, a volunteer network that assists ministries like ours in recovery. After attending their three-hour crash course in disaster recovery, we put together a long-term disaster recovery network. We called the pastors in our region and encouraged them to invest in the network so that we could build an infrastructure to respond to future disasters. We received enough donations to hire a director, case manager, and construction manager for one year. Those first stages usually take a year to accomplish and we did it in two months. We just threw all of the dominoes in the air and they landed upright. Q: What makes the Hope Recovery Network unique? A: Churches are really good at mucking and gutting, but then we want to go back to the old normal as soon as possible. The problem is, we can't go back to the old normal. Case management is so important. 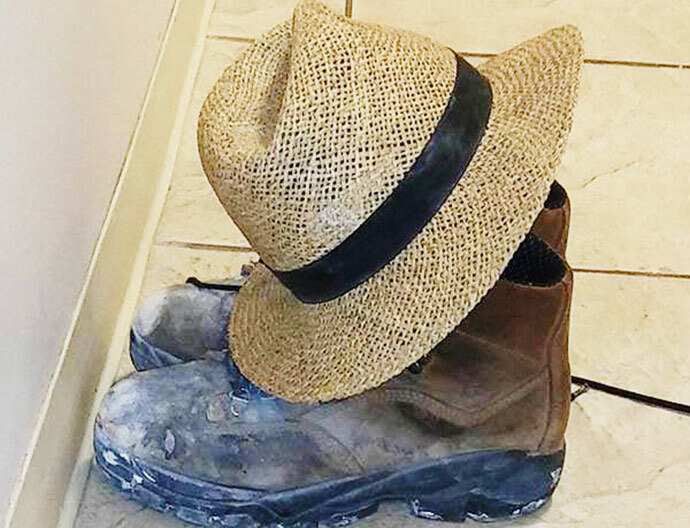 There have been times when churches have gone in and sheet rocked a home, and one month later the families are living with black with mold because there was no remediation. We have had other cases in which volunteers have repaired homes the government was buying, or even rentals. Those funds and volunteer hours were wasted. It is important to do our homework. Our disaster response needs to be done with excellence so that we better manage our resources. The Hope Disaster Recovery Network will impact all phases of recovery for the long term. Advocacy is also important. Any problems these families were facing before the disaster are exacerbated by the overwhelming challenges of recovery. It will take six to eight years for our community to rebuild after Harvey. The Hope Disaster Recovery Network will have volunteers in place to walk beside each family through their long ordeal. Q: Every new ministry faces challenges. What are some of yours? A: It is tough to get the money we need to build, so we need investors. Our area had 12,000 homes flooded. Twenty percent of those families had no resources to rebuild. Families who are undocumented don’t qualify for any help. There is a tremendous need. Q: What is next for the Cy-Hope Recovery Network? A: We are working now to establish a long-term disaster recovery plan that will oversee all five geographical areas of our community so that we are ready whenever the next disaster comes.